Find easy Easter crafts and printables and the best Easter recipes to help you celebrate! Find easter kids crafts to spring decor and easter centerpieces. In just 9 simple steps, you will have perfectly cooked hard-boiled eggs and sriracha deviled eggs for the next potluck or BBQ. Simplify your next family gathering with an easy glazed ham recipe. A spiral cut ham is easy to serve—slice off as much or as little as you want to eat! The more you stir, the creamier this American potato salad becomes! An old time favorite, our recipe is perfectly tart and totally satisfying. Turn classic Cheerios into a fun treat the kids cannot resist with this recipe for how to make Cheerios sheep snacks! You are 4 simple steps away from perfect hardboiled eggs that you can enjoy alone or with your favorite recipes! Carrot cake is the perfect way to end your Easter meal. It’s extra moist with freshly ground carrots and a frosting that’s out of this world! Pretzels, chocolate-covered caramels and Jordan almonds make our butterfly treats irresistible! Ready in 16 minutes. We turned our carrot cake muffins inside out! The frosting in these carrot cake muffins is baked inside, making for a delicious surprise with every bite! Making deviled eggs for Easter is an easy, make-ahead appetizer. Discover the secret to hard-boiling eggs then make a filling that’s silky smooth. Chocolate-covered carrot strawberries in a pot full of pudding…your kids will be begging to eat this “veggie” dessert. 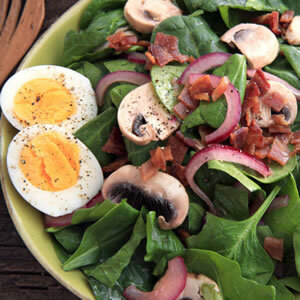 Perfectly boiled eggs make a homestyle egg salad so creamy you’ll need only a little mayo blended with onion and spices to make a family favorite. No fuss, no stress Easter chick cookies are an adorable and simple addition to your holiday desserts! Turn double-stuffed chocolate sandwich cookies into chocolate Easter chicks. The kids will be begging to eat this Easter fun food!